New Year's on the Square! - Lloyd's Electric Service, Inc.
New Year’s on the Square! Sunday, December 31st, 2017, Lloyd’s Electric Service, in conjunction with 93.1 WNOX and The City Of Knoxville, is excited to sponsor New Year’s on the Square for the third year running. 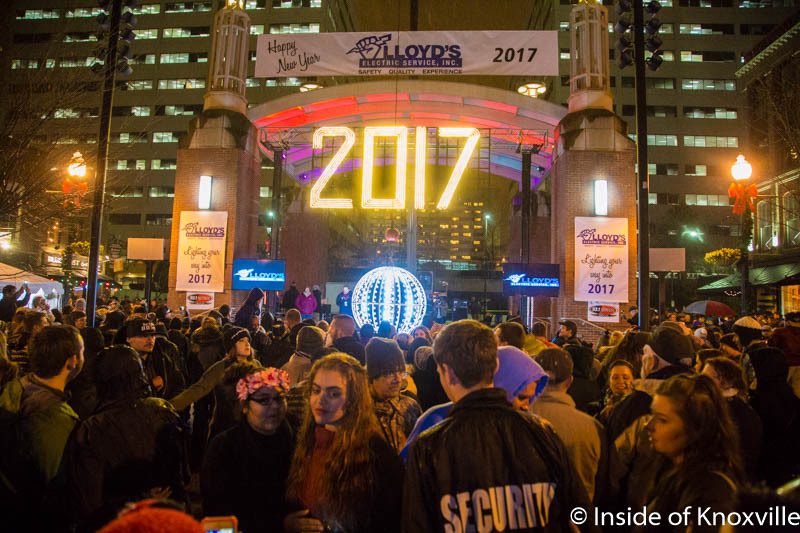 Say goodbye to 2017 and salutations to 2018 with your friends and loved ones on Market Square this New Year’s Eve with a celebration to remember for a lifetime. Share the New Year’s on the Square Facebook event to let everyone know to meet you there! All your favorite Market Square restaurants and bars will be open for your enjoyment and live classic rock music with a kick from The Bicho Brothers begins at 10 PM. Festivities will also include a slideshow highlighting Knoxville’s most memorable moments from 2017, countdown to the New Year with ball-drop, and a spectacular firework display at midnight to ring in the New Year in grand style. Plan to celebrate safely and responsibly. Know your route ahead of time and be prepared for possible holiday traffic delays. Free parking will be available to drivers in city garages including Locust Street Garage, Market Street Garage and State Street Garage. Market Street, Wall Avenue, and Union Avenue will be closed during the event. Those who will be traveling to and from New Year’s on the Square via driving services such as taxi or Uber should plan to be dropped off and picked up on Gay Street for most convenient access. Lloyd’s Electric Service is proud to serve Knoxville and to be a part of this wonderful community. As 2017 draws to a close, come celebrate the triumphs of the past year and the bright possibilities of 2018 with your friends and neighbors December 31, 2017, at New Year’s on the Square brought to you by Lloyd’s Electric Service, Inc., 93.1 WNOX and The City of Knoxville. And from all of us here at Lloyd’s Electric Service, we wish you Happy Holidays and a wonderful New Year!